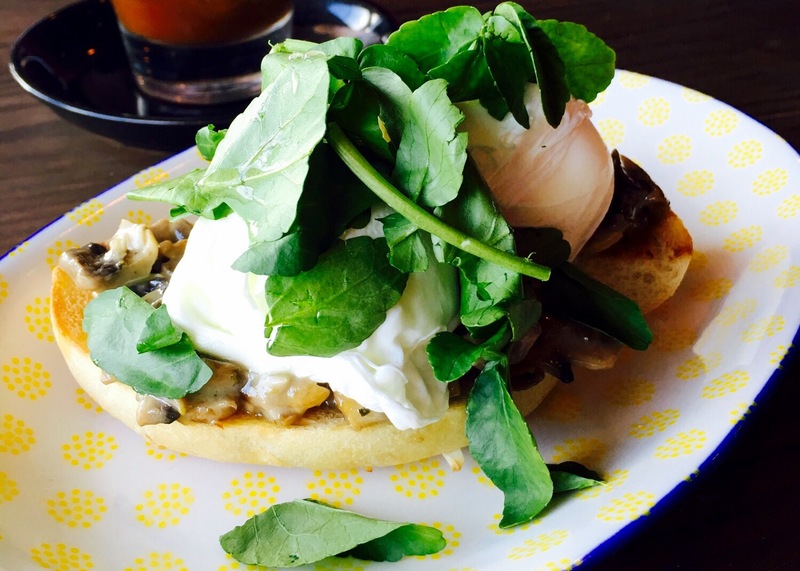 Three killer brunch spots to try in Perth this weekend! With weekend shifts aplenty at work as of late my brunch game has been failing! Scandalous, I know. I’ve self dubbed myself the Queen of Brunch and it’s one title I need to keep, hahaha. In the last few weeks I’ve been brunching at every chance and here are a few standouts for you guys to check out on your next brunch adventure. Be warned, drool worthy pictures ahead! 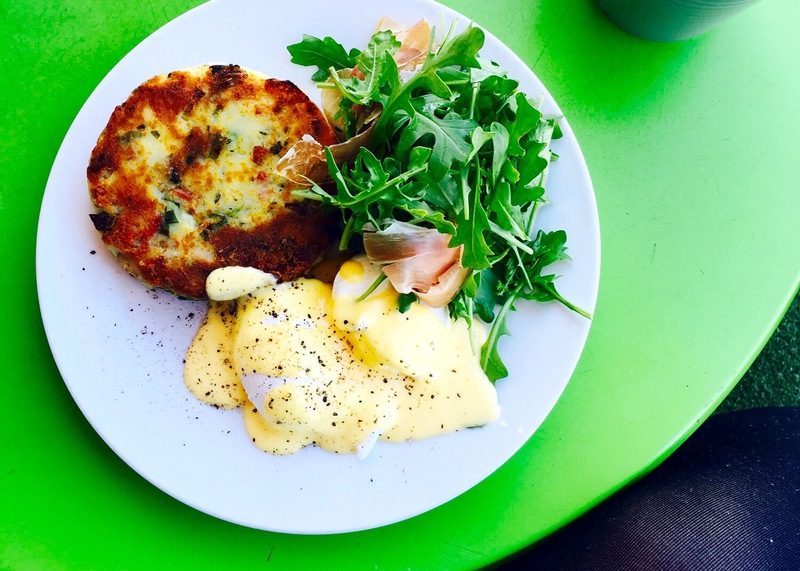 Ingredient Tree is a cute as a button cafe serving all the goodies in Wembley. Although there is not a lot of parking shop front, there are loads of near by streets if you’re keen for a divine, healthy breakfast. E and I sat outside in the sunshine on our recent visit, where they provided us with cute little nanna blankets to keep our knees warm as we checked out the menu. With your usual favourites plus some fancier dishes, I couldn’t pass up the Blue Potato Cake with Poached Egg, Prosciutto and Hollandaise. First up – this dish is huge! The potato cake took up half the plate! It was divine. Crisp on the outside and soft in the inside, it featured loads of fresh spring onion and bacon bits inside. So lovely and light! The poached eggs were well cooked (loads of goo) and the hollandaise was creamy and not vinegary at all! My only complaint was the dish could have had a little more prosciutto though – I think I only counted four very thin slices on my plate! Greedy girl I am. E opted for the Eggs Benedict with ham and her portion of leg ham was very generous. Served on a slice of crispy Turkish Bread she was very satisfied. Don’t forget to order a coffee too – it was super and they offer a mug size for all the coffee fanatics. They also have “all of the milks” if you are lactose intolerant or prefer almond or soy to regular dairy. The interiors are also cute, and the cafe sells loads of fancy organic and vegan products if you’re looking to pick up some groceries. The perfect brunch and food shopping experience in my opinion. Ingredient Tree is also in the Entertainment Book for those supporting the charity this year. Gorgeous interiors, central location and a chic menu with something for everyone, I fell in love with Arthouse Dine as soon as I stepped through the doors! The space is large, modern and welcoming with beautiful hanging lights and art around the place. Even though we visited on a Saturday morning the cafe wasn’t too busy (I don’t think many people know it is there yet), and we were promptly served. If you’re looking for Matcha don’t ask – our waiter didn’t know what is was haha, but they do Almond Milk and a stunning Ethiopian coffee blend. I ordered the Roast King Oyster Mushrooms on Brioche with Cider Cream ($15) after seeing a few pictures of the dish on Instagram and it totally lived up to the picture hype. What a beautiful dish! It looked small but it was very filling and moreish. The mushrooms were super soft and beautifully cooked, and the cider cream was full of flavour and worked so well with the mushy’s and toast. Yum. I could have had a second serving. My friends all raved about their dishes too and we had a great experience. I’ll be back to try the Baked Camembert. If you’re a bit of a foodie and love food photography, all of the crockery and tea cups are so sweet making this place very Instagrammable – plus you’ll be inclined to wander through the Art Gallery post feast. Food and art is a great combo! Another super cute cafe near home! Yay! 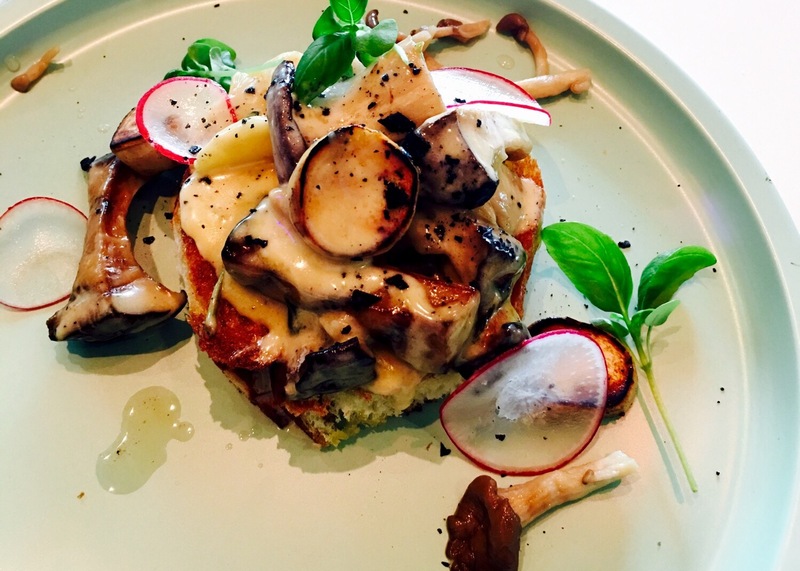 E and I popped in for a quick brunch post gym session recently and we were very impressed. We all know hospitality enhances an experience and the guy at the till was super friendly and made our morning. The cafe do their own coffee beans and can I just say – they’re damn good! I ordered an Almond Long Mac and the coffee was beautiful. So smooth and divine. The menu is short but sweet, and pretty much everything is served with bagels instead of regular toast – yassss! I love bagels. I went for the Truffle Mushroom Ragu with Poached Eggs and a bagel. The eggs were beautifully cooked, the ragu had the most delicious truffle flavour and it was such a lovely, well put together dish, I loved it. E felt like a lighter option and opted for the Smoked Ham & Cheese Bagel and she was also very impressed. We will definitely be back, especially since it is so close to home and the service was impeccable! Where have you brunched lately? Do I need to add it to my wish list? Great to see your wonderful ‘foodie’ posts back up !! Thanks T! Food posts are my fave haha! Ingredient tree is a good one! I love the providore part! I could have spent another half hour picking through the goodies. Love shopping at cafes, you know you’ll get quality! I so love a good brunch. I can show you some good spots if you ever visit Adelaide! A few ideas to try when I’m next in Perth, yay! Thanks for the inspiration, they all look great. There are plenty of Brunch posts on the blog – feel free to browse! Previous PostThree self help books to clear your mind and make you think!